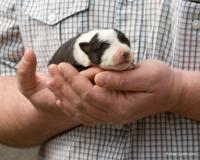 Dog Breeding and Selling are an integral part of Lyttle. If you are looking for a pedigree sheepdog, Lyttle Dogs could have exactly what you are looking for. Allistair and his father David have more than 30 years experience in breeding and handling championship winning sheep dogs. The Lyttles have exported dogs all over the world including America, Australia, Sweden, Norway, Europe, UK and of course Ireland. What makes a Lyttle Sheep Dog Different? We have the experience to match you with the dog that meets your needs. in addition, we have links with other breeders across the UK to ensure you are matched with the right dog. For over seas clients we can accompany your dog to ensure safe arrival to you and should you require assistance with paperwork, we are on hand to help make life a little easier for you.